SALE HAS ENDED. Thank you!!!!!!! Now through July 18th, buy any 3 DIGITAL collage sheets and receive a 4th sheet free in honor of July 4th! To get your FREE sheet, just let me know your choice in the comments section. DO NOT add the 4th sheet to your shopping cart! See the digital sheets HERE! Hey everyone! 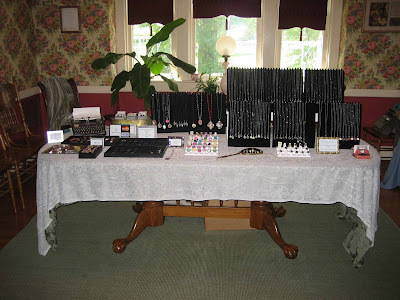 I'm having a booth at Carmel Fest this coming weekend, July 3rd and 4th. 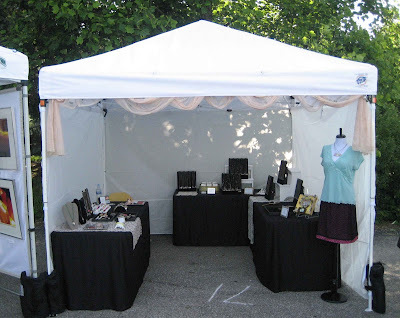 It's Friday and Saturday from 12:00 noon to 10 pm each day in the Arts and Design District in Carmel just off Rangeline Road. I'm close to the Police/Fire Station. The event is free and will have vendors, FOOD, music, etc. Hope to see you if you live local can make it! I'm a bit behind with sharing DT and Guest Artist work due to the recent art/craft fairs, but I wanted to be sure to post some of what I have! More coming soon I promise! 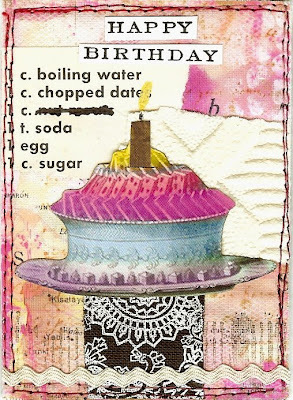 Below are four FANTASTIC cards created by DT member Audrey Hernandez! 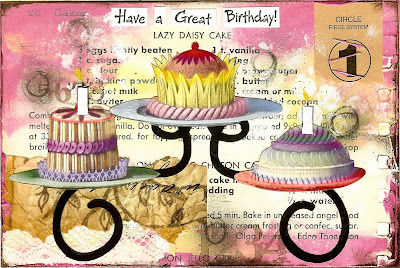 Audrey's cards incorporate the Bella Grunge ATC Background Collage Sheet (Fabric) and the Fairy Cake Paper-cuts. 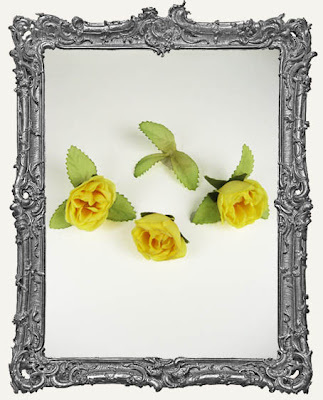 I just love these Audrey - awesome! 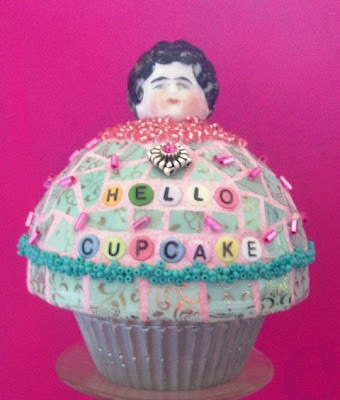 I was just thinking the Fairy Cakes might be fun in some Marie Antoinette art. You know "Let Them Eat Cake"! 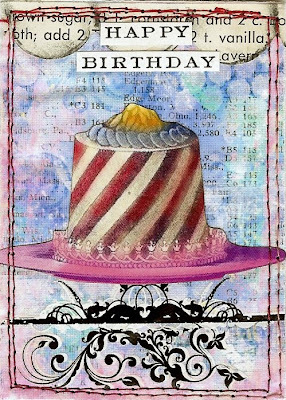 And this SWEET mosaic cupcake was created by the Mosaic Queen Michelle Legler, incorporating one of the small Antique China Heads. I love it! Thanks for letting me share Michelle! Yesterday was the Irvington Art Walk and I was placed at the Rejuvenation Station Massage Center. 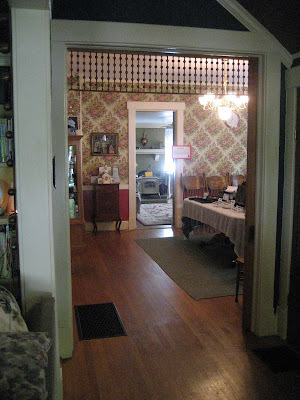 The center is a GORGEOUS Victorian home from 1901, so of course I took some lovely pictures. 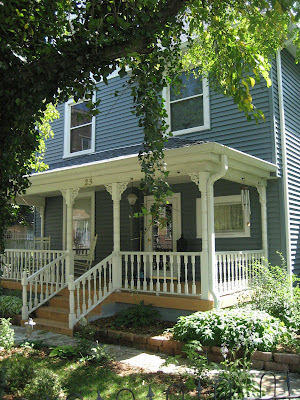 Traffic was very slow, but I made the most of it and spent a lot of time rocking in a chair on the awesome porch, drinking homemade Chai from my hostesses. My set -up was on the dining room table. I'm so in love with this house! 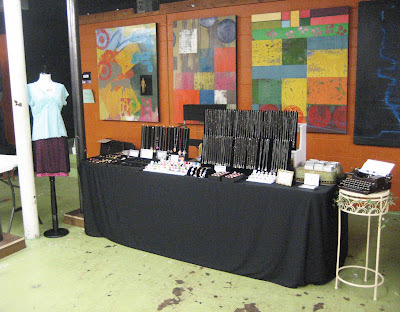 Yesterday I was busy setting up at the Indiana Handicraft Exchange at the Harrison Art Center. I really wish now, I had taken more pictures, but only took a few of my booth then forgot to take more. I was lucky to have some GORGEOUS art just behind my table! And the floor was bright green and very distressed looking. I think Madeline the mannequin was happy there :). 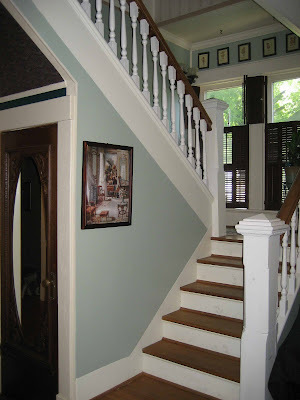 Update: Check out this blog post by Kelly B. Flynn of Snooty Bird. Kelly was a customer at the IHE yesterday and asked if she could do a post on her blog. Of course I said yes! I'm flattered. Thanks so much Kelly! Yesterday was my first big art show of the season! We had perfect weather and sales were good. What more can a girl ask for! 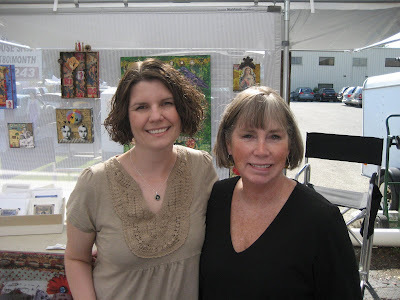 Here I am with my friend Lynn McDonald who had a booth full of her fabulous mixed media canvases! Her husband was so sweet and checked on me for bathroom breaks/food. Thank you! 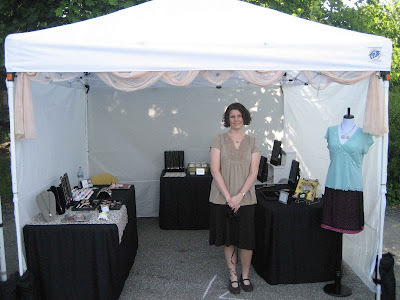 My friend Jenny Elkins was also there as a vendor, but unfortunately I didn't end up finding her. Here I am at my booth. I had the perfect spot with shade from the trees! As you can see Miss Madeline Marie the mannequin came along to visit with the customers. This was first thing in the morning before the crowd arrived. I was already tired from setting up, so the day was long, but fun! 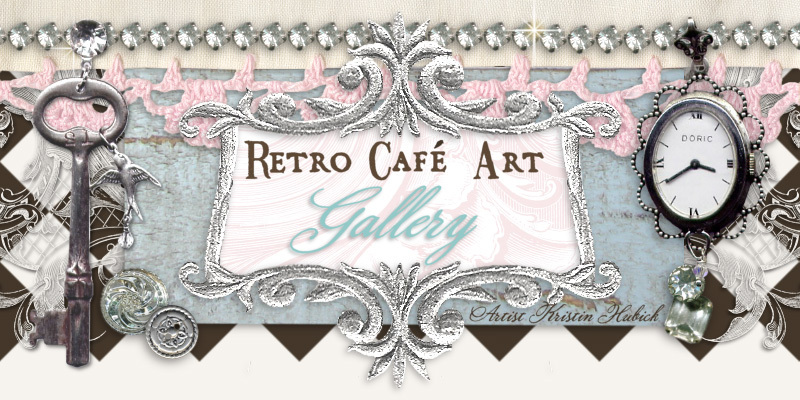 A few new things are blooming over at Retro Cafe' Art Gallery. 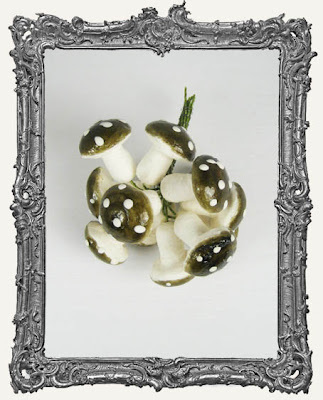 First, some yummy vintage German cotton spun mushrooms! They are about .75" tall and really lightweight. 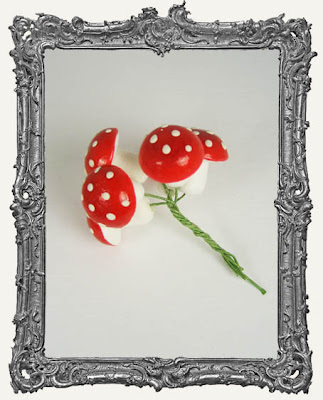 Perfect for assemblages and those ever popular fairy jars! Imported from Germany! 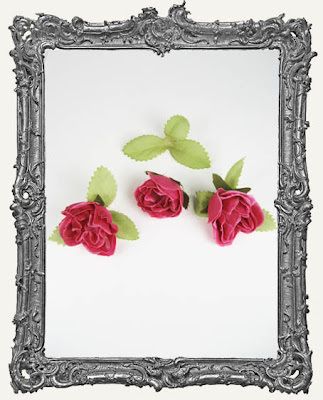 Some pretty little silk rose buds! 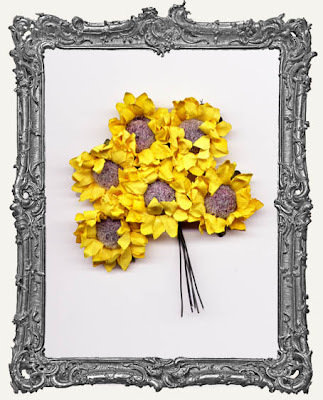 Finally, some pretty mini paper sunflowers! See all the new goodies HERE. 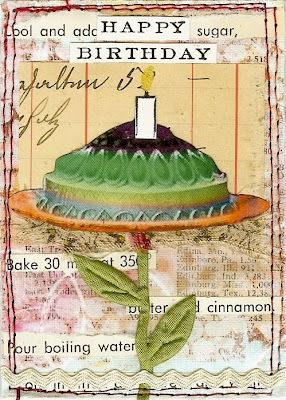 Here's another journal page I whipped up for the next Indiana Altered Art Journal swap. 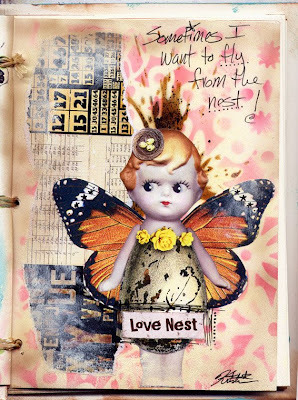 I used my favorite gal from the new Hello Dollie Nature Fairy Collage Sheet! I also used the splat stencil. CUTENESS ALERT! 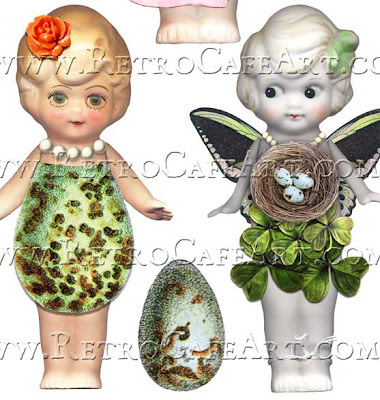 I just created a new collage sheet, "Hello Dollie Nature Fairies" and I'm in love. 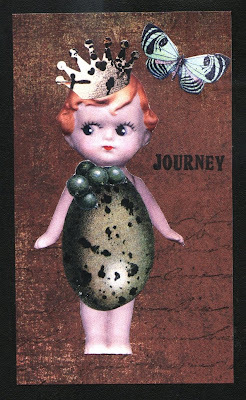 All of my favorite elements: fairies, eggs, and dolls! You can get your sheet HERE on my website! 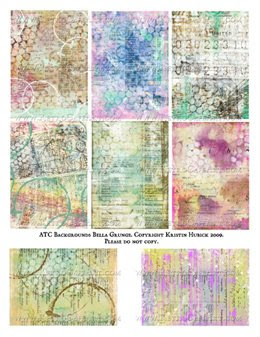 After sending my last two collage sheets to DT member Kelly Burton, she sent me the oh so inspiring art sample below! 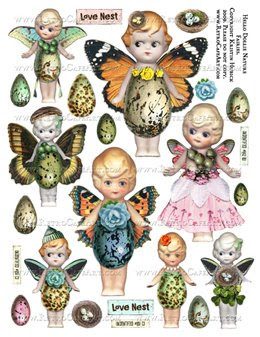 After getting Kelly's permission, I knew I just had to have a sheet full of lovely egg babies :). Thanks for the inspiration Kelly! Genius! Okay, so I spent more hours on that sheet then I wish to disclose when I should have been getting ready for an art fair this weekend. I have SEVERAL coming up and consecutive weekends to boot! I'll be sure to post pictures.